Arizona has a nice climate practically all-year round and a vast array of world-famous and challenging golf courses. Scottsdale and Tucson have more than their fair share of greens and links, which is great for folks looking to get out the golf clubs every day. In fact, a quick online search currently shows hundreds of Arizona golf homes for sale. Of the two cities, Tucson offers a deeper historical past compared to Scottsdale which translates into a richer culture and a city brimming with art museums and world-renown landmarks. Tucson is actually the oldest continuously inhabited community in the United States, and is presently home to approximately one million residents. This bustling urban community also has its ‘secret hideaway’ neighborhoods with luxury golf homes set into quiet mountainsides. 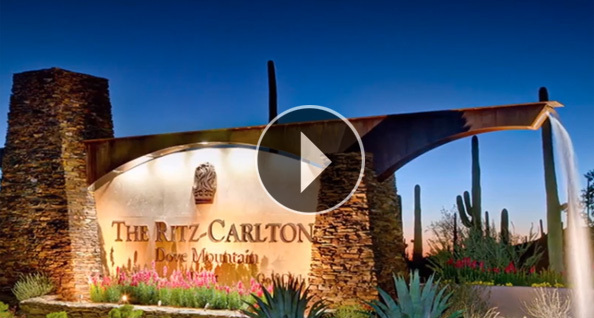 Ask your realtor to show you the best golf real estate in Arizona and they will likely take you to The Residences at The Ritz-Carlton, Dove Mountain. This community gives homeowners an opportunity to design the luxury desert custom home of their dreams with spectacular estate-sized custom home sites in two neighborhoods. If you’d rather enjoy your home at The Residences, Dove Mountain more quickly you can select one of 8 customizable floor plans, which can be finished to meet your specific wants and desires. Do you enjoy vistas of towering saguaro cactus and endless skies while you play golf right near your home? You might want to see some of the available real estate at The Residences at The Ritz-Carlton. The 27 holes of Jack Nicklaus Signature Golf are complemented by the 45,000-square-foot clubhouse complex and The Ritz-Carlton Hotel and Spa. For more information, visit http://theresidencesdovemountain.com or call (877) 451-7205.